Summary: Hygger is a project management tool for agile teams that helps deliver projects faster and with better quality. In November of 2015, Mark Fedin and Alexander Sergeev created an online project management application where users i.e. teams and companies will be able to plan and visualize their tasks, track their progress and organize their dashboards, they named this software Hygger. With features like scrum, kanban, and road mapping this project management software’s main goal is to ensure that tasks are divided into short phrases and portions so that there are frequent reassessments and adaptations of plans. It also ensures that the teams and companies can be able to move quickly and easily within the software, thus making it very user-friendly. Its simplicity in design and use makes it even more fit for any team or company. Hygger’s features include and are not limited to project, collections and boards in the main menu. You can combine different boards from different boards with certain criteria to make a collection. 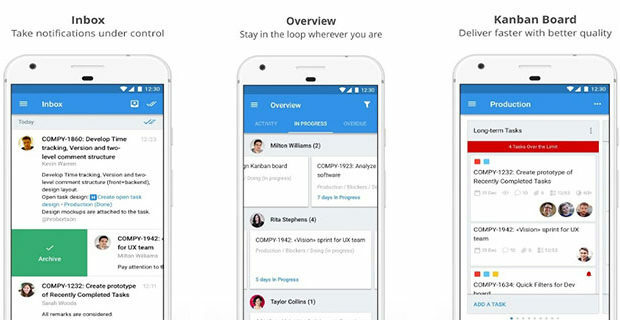 You can also add several team members to your company on the app by simply inviting them. Speaking of members, Hygger has got membership plans; the freemium membership plan where your team can have up to five members for free any number above that automatically falls into the premium membership plan. This kind of subscription is priced as per the number of users that is from 6-100, they are required to pay a total of $9 per person every month, the users are also offered a free trial period of 14 days. However, these are the only two subscription plans for the app, a freemium and a premium, no mid-sized level plan, there isn’t that much room for flexibility. As project management software its main focus is on design, software development, sales, marketing, and product development. Basically, if you’ve got project management needs that you want to take care of whether technical or not this software is for you. Creating tasks and assigning tasks to your members has never been easier, it’s got the Kanban board made just for that, on this board you’ll be able to track your tasks using the WIP limits, create sub-columns, have swim lanes that will help you to categorize the tasks i.e. the most important tasks. Your team members can also collaborate on the given task on the board, while this is a great feature you can’t however, track the progress in real time. This would have been great to avoid having to redo and waste time while waiting for approval. While tasks are being worked on, you are able to brainstorm and collect ideas for your next project and rate them on a feature they have called a backlog. With everything more visual you can be able to make informed decisions and select the best, valuable and most needed features on the chart. The team members can also send their development on their tasks and also create tasks on there. This is also made possible in part by another important feature called a roadmap. If it is not already self-explanatory allow me to, the roadmap will enable the users to visualize and plan their releases step by step and keep everyone involved in the loop. Apart from a few hiccups that I explained above concerning the Hygger is generally all your project needs, it’s got all the boards a project manager can dream of and the features to back it up.